Listen to FSU’s podcast featuring our two Scholars in Service Interns with two FACE administrators. Working together as partners develops students and enhances our ability to give back and build up our community. 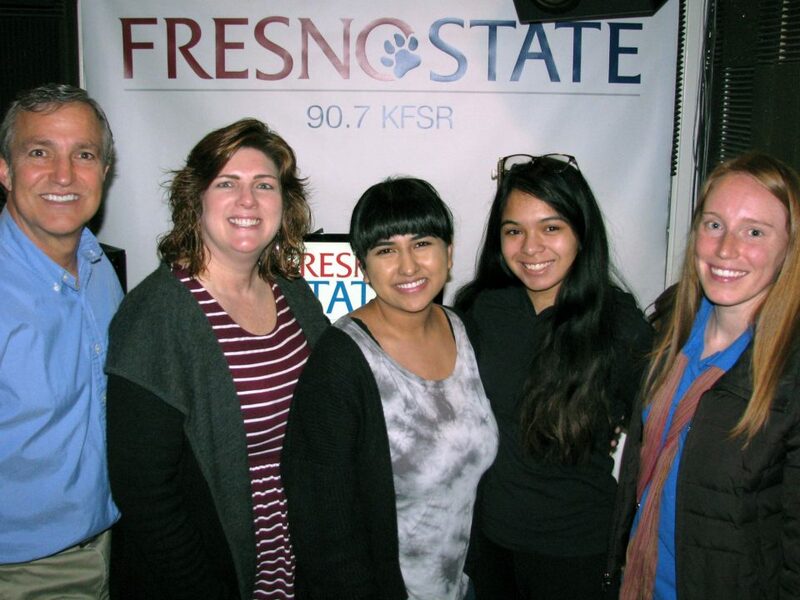 The 3/24/19 episode of KFSR’s Fresno State Service In Action with host Chris Fiorentino and guests Fresno State Scholars In Service students Marisa Martinez and Jessica Pablo, along with Fresno Area Community Enterprises – FACE administrators Rhonda Lautt Dueck and Kelly Kucharski about FACE, and how Fresno State students are gaining experience while providing services to the multiple programs and enterprises within the organization is now available via podcast!